Mont D’Or is a type of vacherin cheese and is ripened in the wooden cylindrical boxes you buy it in. 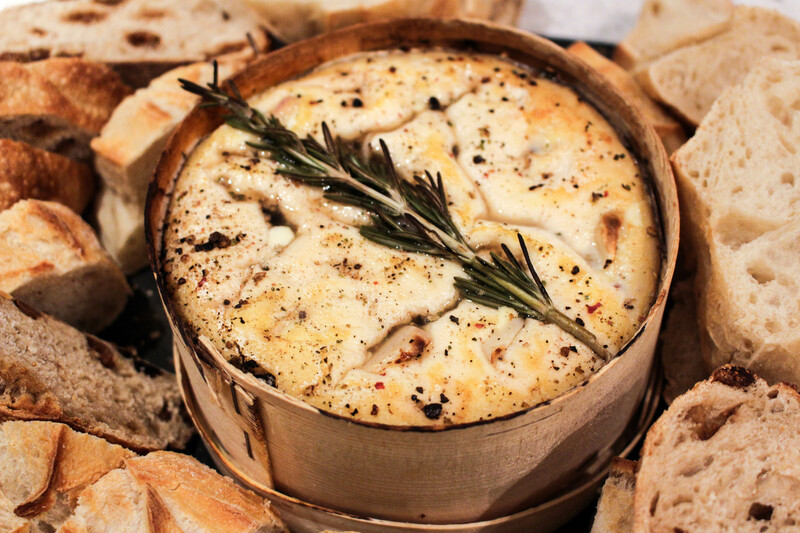 There is some debate as to whether this soft, seasonal cheese comes from France or from Switzerland but one thing is for sure, this this cheese is both luxurious and delicious. Much milder and creamier than a camembert, this cheese can be eaten uncooked but when baked it becomes a gloopy, golden mess which is to die for. 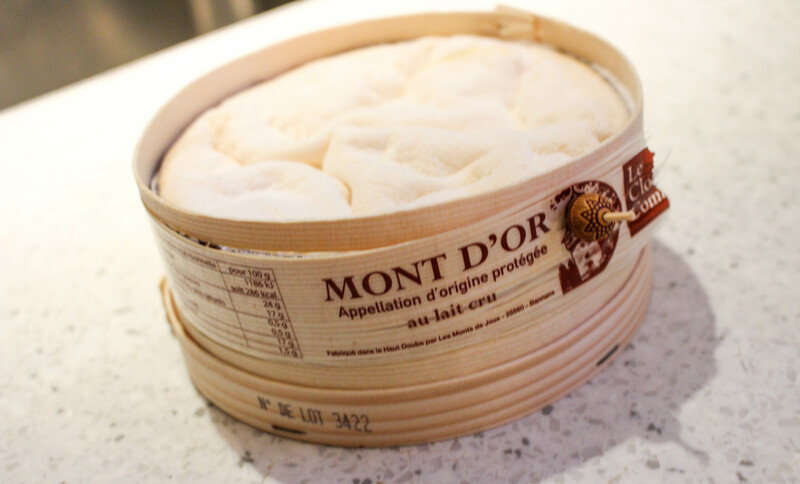 Mont D’or comes in different sizes so your recipe will depend on how big the cheese is. Using a knife, stab a few slits in the top of the cheese and then halve or quarter some garlic cloves, lengthways inserting the garlic into the slits. 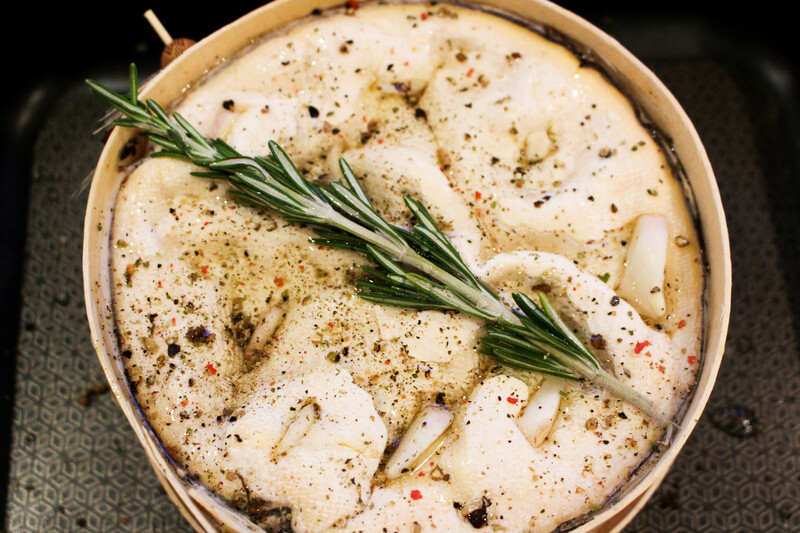 Top with a sprig of fresh rosemary then pour over a glug or two of white wine. Crack some black pepper over the top and then place on a baking tray and bake in a preheated oven at 200C for about 30-45 minutes, depending on the size of the cheese. Carefully transfer the cheese from the baking tray to a big round serving platter and then surround the cheese with lots of fresh, sliced bread such as a baguette.